Today, I will be talking about the late South African painter Gerard Sekoto. 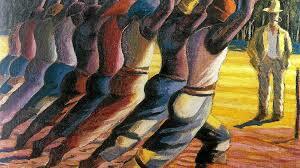 Gerard Sekoto is known today as the father of urban black art and social realism. 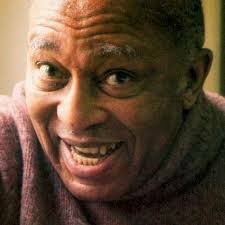 Born in 1913, Gerard Sekoto grew up in South Africa at a time of apartheid. His entire art has been influenced by his life experience. He held exhibition in Johannesburg and Cape Town. His painting was actually the first painting by a Black artist to be exposed at the Johannesburg Art Gallery. He was a big fan of oil painting. In 1947, he exiled himself to Paris. His first two years were quite depressing and hard; they actually had nothing to do with painting. He played in French nightclubs as a pianist, and composed over 25 songs whose main themes were the loneliness of exile, and the courage of an immigrant trying to survive in a foreign country. Quite a global theme these days, in this global world! In 1966, he visited Senegal, and was actually a guest of President Léopold Sédar Senghor. He visited Dakar for a year, and this visit reignited his passion for painting. Armed with his brushes, he fully immersed himself into the ‘Dakarois’ environment, and once again started painting African scenes. In the 1970s, he started expressing his opposition to the apartheid system back in his homeland, and started painting about it. One of his famous paintings is poignant depiction of Steve Biko‘s death, with Biko’s tearful mother at the center of the painting, Biko to the right of her, and a white policeman to the left. It is very sorrowful and vivid depiction… and to think of Biko’s mother! Most often, people paint the victim, and forget those they’ve left behind. Sekoto never had a chance to return to South Africa, not even for his mother’s funeral. He ended his days in a retirement home for artists on the outskirts of Paris in 1993. Please check out the website of the Gerard Sekoto Foundation, the Gerard Sekoto Webpages, and this photo-journal by the BBC. Don’t forget to read about how Sekoto used to capture his subjects on AfricanColours.com.